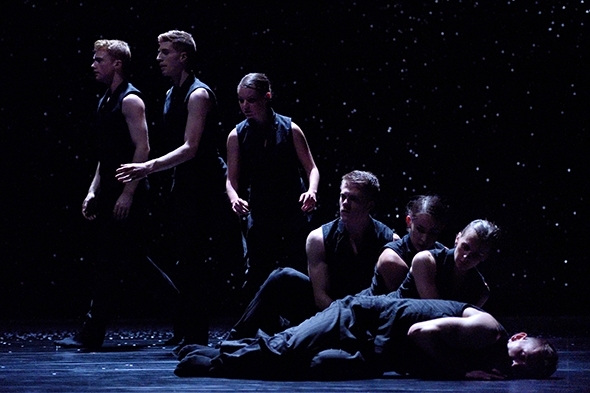 On March 6 & 7 Ballet British Columbia will be performing on the Sadler’s Wells main stage. For those who might read into the company name images of evergreen forests, indigenous peoples, paintings by Emily Carr, a rugged Pacific Northwest coast and English weather, the association with ballet may not immediately spring to mind. 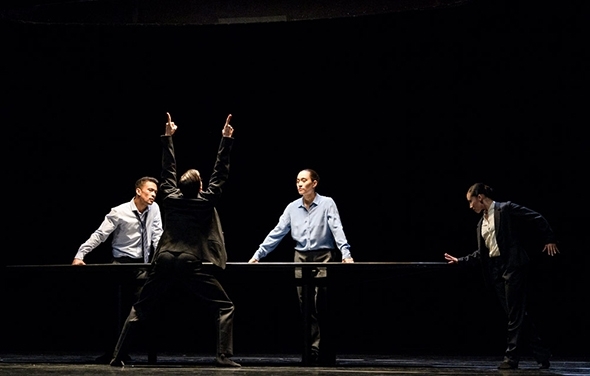 But those who know the names of Crystal Pite and William Forsythe (both of whom feature large in the Sadler’s Wells program this summer), may be surprised to learn their connection runs through Ballet British Columbia (Ballet BC). The company, founded in 1986, is based in Vancouver and Pite, who was born in the province, started her dancing career there. In 1996 she joined William Forsythe’s Ballet Frankfurt and when she returned to Vancouver she began to choreograph for various companies, including Ballet BC, and founded her own company, Kidd Pivot. In 2010 Pite and Kidd Pivot moved to Frankfurt as the resident company of Kunsterlhaus Mousonturm. The paths of Pite and Forsyth are in turn intermingled with the career of Emily Molnar, Ballet BC’s current artistic director. Molnar is a graduate of the National Ballet School in Toronto and a former member of the National Ballet of Canada before she, too, joined Ballet Frankfurt where she met Pite. Forsythe’s approach to constructing and deconstructing ballet was a huge influence on both dancers. Molnar returned to Vancouver as a principal dancer at Ballet BC and took over the artistic directorship in 2009. So while the company’s name serves to identify it geographically, its artistic lineage is very much aligned with Frankfurt. Although she also makes work on the company, Molnar has spent the last nine years selecting a broad range of works from different choreographers to develop a dialogue on dance and performance with her audiences. To commission and create 40 new works for a company of 18 dancers and to maintain healthy home seasons in a theatre the size of Sadler’s Wells is evidence of the success of her approach. She describes herself as having been a difficult student because she would constantly question the school regime, the way dancers trained and the technical as well as psychological effect of such training on the dancer. This propensity for questioning fed into her approach to choreography — working with Forsythe must have been especially stimulating — and later to her artistic directorship of a company. She is constantly instilling in her dancers not so much the ‘how’ of a performance but the ‘why’, and in building her choice of works and programs she pays attention to ‘why’ an audience may set foot in the theatre and to the dialogue that inevitably ensues. She wants to reward her audiences for taking that step, but she also wants to lead them on a journey that may take them outside their familiar frame of reference. 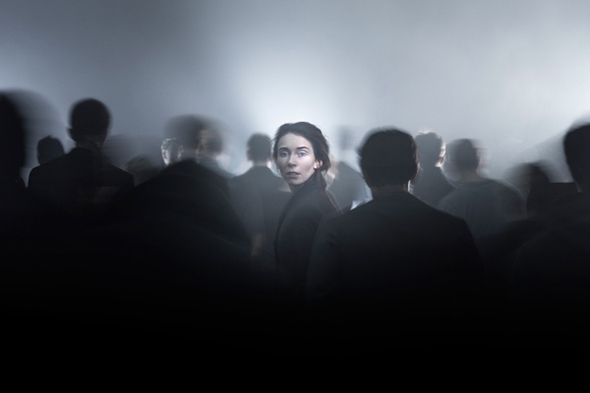 The program at Sadler’s Wells comprises works by Pite (Solo Echo) and Molnar (16 + a room) along with a third by the contemporary female voice of Sharon Eyal (Bill), a dancer and choreographer who spent 23 years working with Ohad Naharin in Batsheva in Tel Aviv. Pite and Eyal (along with her collaborator Gai Behar) are recognized names in the UK, so Molnar will be the outsider, setting up the kind of dialogue with audiences here that she has pioneered in Vancouver. Augurs are good; the program was first aired at the International Dance Festival Birmingham in 2016 and my friend Ian Abbott was impressed not only by Molnar’s ‘integrity, sense and articulate coherence’ in her advocacy of female choreographers at a pre-performance event but by the company’s triple bill which he likened to a delectable three-course meal. 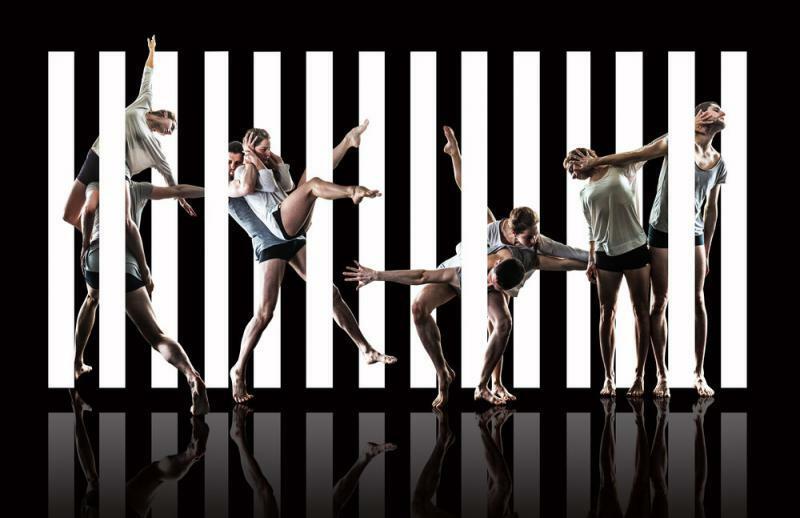 Dance Consortium was so impressed by the bill of fare and presumably by the bill that it has chosen to tour Ballet British Columbia in the UK this year. ‘The accident happened. It has happened. It’s happened’. The past is irrevocable and unchangeable. The past can loop a person in a repetitive rewinding of backward motions; there is no escape. In Betroffenheit, a collaboration between choreographer Crystal Pite and theatre director and actor Jonathon Young, this space of no escape is ‘the room’ — the site of trauma. Based on Young’s own experience, the work deals with horror, pain, loss and guilt. Trauma is not an easy subject to engage with, not so much because of its resistance to representation but rather because of its pervasive presence in our culture. Overused and glamorized, trauma has lost meaning and with it the connotations of the experience it designates. As a result, the risk for any artist wanting to engage with the subject is either that of slipping into self-confessional indulgence or in facile generalization or, even worse, universalization. Pite and Young resist these pitfalls. Betroffenheit does not steer from ‘the event’: it is focused on a moment in time and on the individual locked in its repetitive occurrence, constrained within the claustrophobic narrowness of pain and loss. There is no generalizing. It is one man’s experience — performed by Young himself — that isolates and is isolating: ‘The accident happened. It has happened. It’s happened’, repeats Young in his disjointed re-telling of the drama that unravels in his mind and on stage. ‘The room’ cannot be shared. The shock and the encounter to which the title Betroffenheit alludes are his fears, unbidden memories, guilt and survival. They are the ghosts that unremittingly draw him back to that space where the past repeats itself and attempts to get to terms with it are futile. Indeed, as trauma theorist Cathy Caruth observes, belatedness and incomprehensibility are at the heart of the traumatic event and its repetition opens up realms beyond what can be known. Performatively, Betroffenheit enters such a space of belatedness and incomprehensibility by drawing on and weaving together a broad range of references from art, literature, theatre, psychology, film and dance. The first half is set within a narrow perimeter of false walls, clinical and industrial at the same time that are open on one side − ‘the room’. Voices intrude, personages enter it and lure Young into a disturbing vaudeville acting out, sinuously performed by Pite’s five dancers. The narrow space of ‘the room’ temporarily blasts open into the event — reminiscent of Hollywood’s disaster movies — then the room closes again onto its painful repetition. Pite and Young have set in motion what Jacques Rancière refers to as ‘a complex set of relations between the visible and the invisible’. This unleashes a chain of images, words, and movements that alter each other to convey ‘the sensible texture of an event’ whose forms are disquieting, grotesque, and nightmarish. This motion continues in the second half, though the register changes. A spotlight defines the empty stage with its single pillar as a rarefied cone of incomprehensibility. If words and strident visual frames seemed to overtake the first part, dance regains its centrality in the second. Visual references are implicit in the moving tableaux of a Renaissance pietà and deposition reminiscent of the suffused rendering of Bill Viola’s slow-down video reenactments of The Passions (2000). Breathing becomes the sensorial punctum (in Barthes’s sense) on which the affective tension of Pite’s choreography unfolds. And breath carries the emotional movement of the work to its conclusion. The event happened, has happened. The event cannot be escaped nor understood. There is no resolution, only the possibility of acceptance. In the final solo by Jermaine Spivey, the spasmodic dance macabre of compulsive fears of the first half mutates into a fluid quietness of motion and emotion which weave through and across each other. A question remains: where do Pite and Young position the audience in relation to the work? The first half of Betroffenheit makes subtle use of an alienating effect reminiscent of Antonin Artaud’s theatre of cruelty. Recorded applause cruelly marks the re-enactment of trauma. We are uncomfortably reminded of the spectacle and voyeurism with which horror is so often endowed. In the second half the carefully lit pillar whose shadow lengthens over the auditorium gestures towards another position for the spectator, that of attentive, intelligent and sensitive observance. Over the last ten years Sadler’s Wells has developed a roster of 16 Associate Artists reflecting the different genres of dance it produces. Artistic Director Alistair Spalding is not in the habit of putting together a program of Associates’ work but this particular one came about through the almost simultaneous request from two of them, Hofesh Schechter and Kate Prince, to test run their works in front of their home audience. 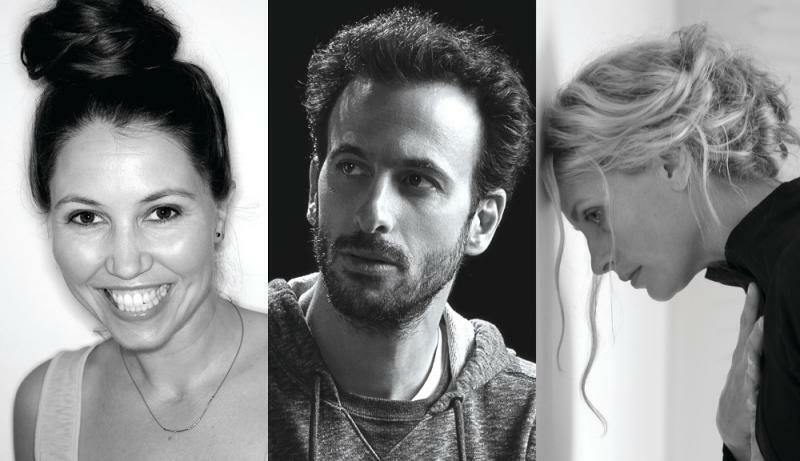 Seeing an opportunity, Spalding called on the most recent Associate, Crystal Pite, to complete the program. I am not familiar with Kate Prince’s choreography but here she directs Smile, a solo choreographed (with a little help from Shaun Smith) and performed by Tommy Franzén. He starts out as Charlie Chaplin’s famous tramp in a delightful riff on those familiar gestures but very quickly loses his way amongst the storage room full of props. It is only in the final scene nine tracks later that he wipes off his white face and black mustache, but he could have done it much earlier. If Chaplin’s tramp is the peg on which Smile hangs it is soon overwhelmed by all the imagery Prince/Franzén/Smith heap on it. There is clearly an attempt to contrast the comedic with the tragic without realizing (as Chaplin did) that both reside within the same gestures and postures. Prince separates the two with the result that Franzén can never gain the stature of the tragic because he is too busy trying to be funny. There is only a pause between Smile and Crystal Pite’s A Picture of You Falling (2008) but the contrast is marked. Pite’s writing of dance has the clarity of a Joni Mitchell song or of a photograph by Henri Cartier-Bresson: the focus is unmistakable and immediate. The writing is intelligent and meaning is built up with each creative element, from choreography to setting to costumes to light and sound. Linda Chow, who created the carapace-like costumes for Polaris in the Thomas Adès program, is here in more casual mode but dresses the dancers in layers they then discard as the story is revealed. In the hands of Robert Sondergaard light becomes a metaphor for space and time, and can speak as demonstratively as a dancer’s gesture, as it does at the opening when a roving light seems to embody the voice of Kate Strong recalling aspects of a relationship. Peter Chu and Anne Plamondon are the couple whose history is Pite’s subject and although it is broken up like snapshots shuffled from an album the emotional core is beautifully expressed through movement. “I am fascinated and convinced by the shared narratives that live in our bodies,” writes Pite, “the familiar, repetitive storylines that move across cultures and generations — and the body’s role as illustrator.” It is Pite’s ability to mine this illustrative potential of the body with such finesse that sets her apart as a remarkable choreographer. Hofesh Schechter has a new commission for the Royal Ballet at the end of March and I wonder if he is either testing out some ideas here or if he is getting this piece out of his creative system to make way for the new. The barbarians in love is more delicate than his previous work, perhaps influenced by his embrace of François Couperin’s music, and comes across as a meditation on the past without setting out in any new direction. Lee Curran’s lighting through levels of mist and the white tops and dark jeans devised by Merle Hensel enhance a sense of searching for purity or redemption. The final section in which the six fine dancers emerge from the darkness naked or semi naked strikes me as an intensely personal statement; the dancers remain in the half shadow facing us self-consciously, using their arms in eerily simple gestures redolent of departure without wanting to go. The barbarians in love — the title itself is infused with ambiguity — is a strung together on a series of ethical imperatives or lessons intoned with intimate sensuality by Natascha McElhone that culminate in a recorded dialogue between her in the role of a teasing God and a skewered Schechter trying to justify his work. It borders quite heavily on the self-indulgent but there are mitigating factors. Whether the barbarians in love signals a turning point in Schechter’s creative output will not be known until the end of March with his new commission at the Royal Opera House. The subtitle of this evening’s celebration of the music of Thomas Adès — the second in Sadler’s Wells’ Composer Series — is where dance and music share their inherent qualities: See the Music, Hear the Dance. Such complementarity, however, can be elusive and this evening is no exception. With Wayne McGregor, whose Outlier (to Adès’ violin concerto, Concentric Paths) opens the evening, it is not so much the music we see as the space in which he develops his signature physical dynamics, a visual environment in which dance, set design and lighting take precedence over the music. Lucy Carter is here credited with both lighting and set design and it is her symbolic concentric motif that provides a visual link to Adès’ score rather than the dance. Created for New York City Ballet, Outlier opens with a quintet of dancers that is subdivided into a trio with a duet, two duets with a solo and a duet with a trio that remains motionless. In the second movement, Thomas Gould’s solo violin sings above the turbulence of the orchestra while the choreography for a trio of dancers hits some turbulence of its own in clumsy lifts and interlocking partnering between the two men. Nine dancers start the third movement in three trios glued one behind the other dancing in canon. Carter’s circles yield to a rectangle of light framing a duet to the solo violin that the other seven watch in silhouette. There is a final visual image of a white circle of light on the stage into which a dancer steps with the last splash of the violin. Karole Armitage chooses Adès’ Life Story set to a poem of the same name by Tennessee Williams. There is a grand piano on stage with the soprano Claire Booth dazzling in sequins standing against it and Adès at the keyboard. Booth’s lovely soprano voice sings of the lazy aftermath of a first encounter between two lovers (danced by Emily Wagner and Ruka Hatua-Saar) lying on a bed ‘like rag dolls’ telling their life stories. It is not a context that immediately suggests pointe shoes and when one of Wagner’s shoes slips off her heel early in Life Story the intimacy of the setting is unforgiving. The classical vocabulary fails to find a correspondence with the jazzy score and the final manège to the line about people burning to death in hotel rooms just throws Williams’ cautionary tale to the wings. Alexander Whitely created The Grit of the Oyster to Adès’ Piano Quintet. Both choreographer and composer are on stage in their respective dual roles and for the first time this evening the music and dance are in harmony. The Grit of the Oyster is a trio with three lyrical dancers (Whitely, Antonette Dayrit and Jessica Andrenacci) on a white rectangle of floor while the quintet plays behind. The lighting has the murkiness of an oyster bed with lime-green and blue costumes, but the fluidity of the choreography shines, particularly in Dayrit’s solos. During a turbulent musical passage she takes off her green top and puts on a white one, becoming a pearl. Whitely and Andrenacci return for a duet and at the opening of the third movement the trio whip through a fast section in unison. Dayrit dances one final, beautiful solo that leaves the musical line floating as the light fades. 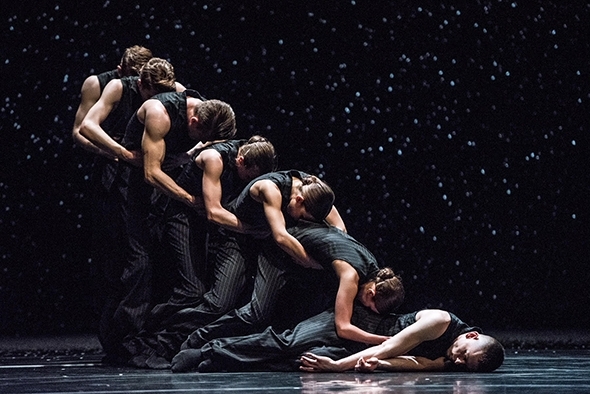 Adès’ Polaris is a huge orchestral work and Crystal Pite responds with a cast of 64 dancers in superbly designed identical black costumes (by Linda Chow) that leave only the face and hands bare. An articulated mass of curved, crustaceous black bodies with hands like dead leaves slithers on to the stage in silence like a menacing, malevolent energy. It becomes a circle with heads rising and descending again before it unravels and moves across the space with the addition of a circular wave formation. Still the music hasn’t started, but when it does Pite has prepared us; we have already seen it. Pite fills the stage in the same way the music fills our ears; here at last is a complete expression of See the Music, Hear the Dance. The mass retreats leaving two figures like flotsam on the beach who struggle to remain attached until they are ripped apart by invisible forces. For the individual roles Pite uses six dancers from her own company, Kidd Pivot, and they are mesmerizing in their control of the details and dynamics of the choreography. The mass is an elemental force crossing like tectonic plates or two massed armies confronting one another, and the sextet rises above it like instruments above the orchestral turmoil. At one point all 64 dancers form a single entity, crouching with arms to the side, hands pointing to the floor. All we see is the fingers quivering but the image is one of powerful kinetic energy. Pite’s artistic control over the stage elements — choreography, costumes, lighting (by Thomas Visser) and backdrop (by Jay Gower Taylor) — corresponds to the way Adès controls the instrumentation and the Britten Sinfonia he is conducting: Polaris is a confluence of two imaginations in tune with each other. On the final musical crescendo Adès’ hand is caught in the light as it rises above the pit, his finger pointing upwards like a blessing or a warning. The dancers halt and suddenly all that energy discharges into the audience as a storm of applause.